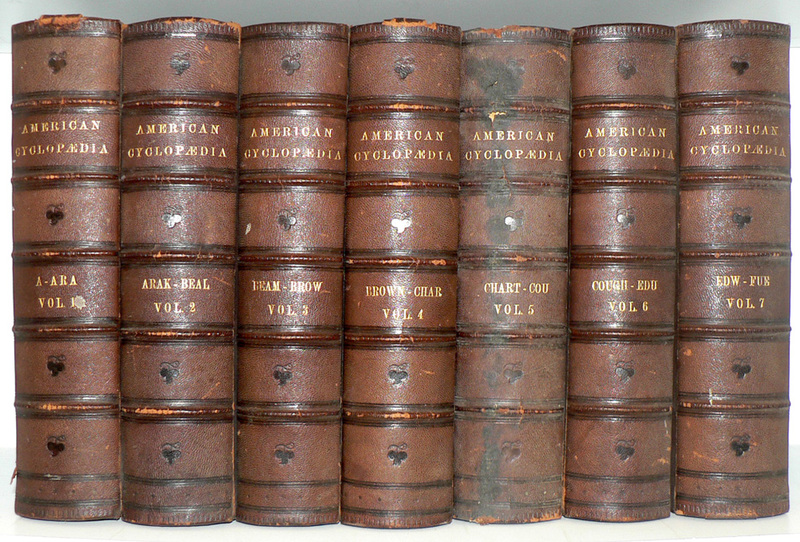 This week's giveaway includes volumes 1 through 7 of "The New American Cyclopedia" edited by George Ripley and Charles A. Dana. 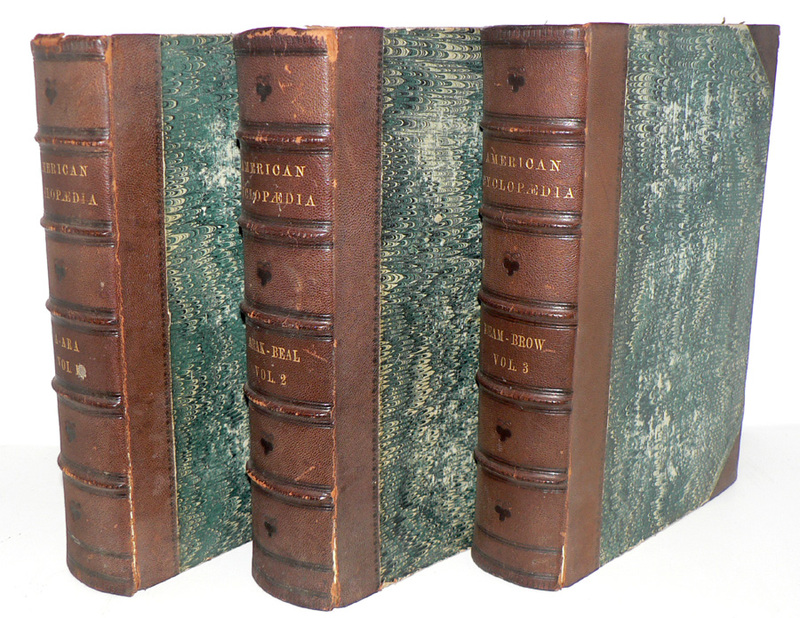 Published by D. Appleton and Co., 1863. Sadly, there are sixteen volumes in the full set, so you'll be getting just the first half. The volumes are bound in three-quarter brown leather with gilt lettering on the spine. They have marbled endpapers are in fairly good condition for their age. Contest closed, winner announced shortly. They are lovely! I miss the days before Wikipedia and Google. [waving hand madly in the air] Pick me! Pick me! Oh yes please and thank you! Lovely, cool and 1863. I would love to win this. Thank you. I always enjoyed doing research from books then online means. Ooh. Pretty! Consider me entered. Cool - particularly in these days of only internet cyclopedias. These would be so much fun to read. I love old books! This would be wonderful. It is a wonderful set. Oh what fun! Like half a time capsule! These would look amazing in my library! I bet there are amazing images on the inside...yes please! I want these books! I'll give them a good home of my wall of bookcases. These look beautiful- I love encyclpedias! This is awesome! I can only imagine the illustrations!